WiseCleaner has released the a beta version - Wise Folder Hider Pro! Wise Folder Hider Pro providing much more enhanced security than the free version for files and folders on your Windows PC. Wise Folder Hider Pro defends your private files from being read even when found by a third-party tool. Be the first to experience the beta version & Protect your private files! 1, If you have installed the free version of Wise Folder Hider, you'd better unhide your files/folders and uninstall the free version of WFH before installing the Pro version. 2, When you finish installation, please Restart your PC. 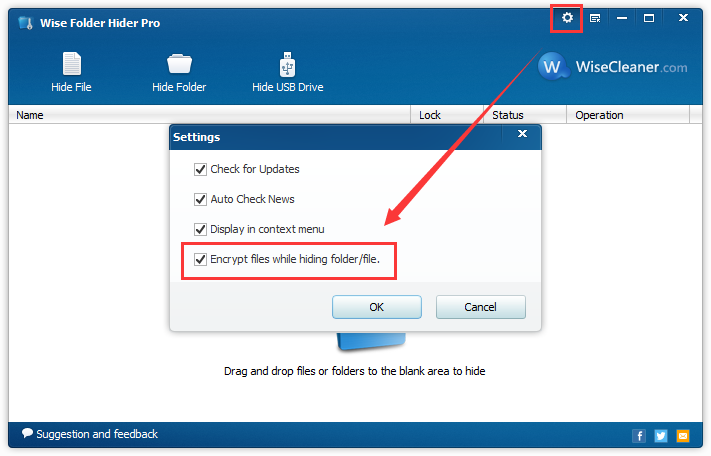 Wise Folder Hider Pro official edition has been released!